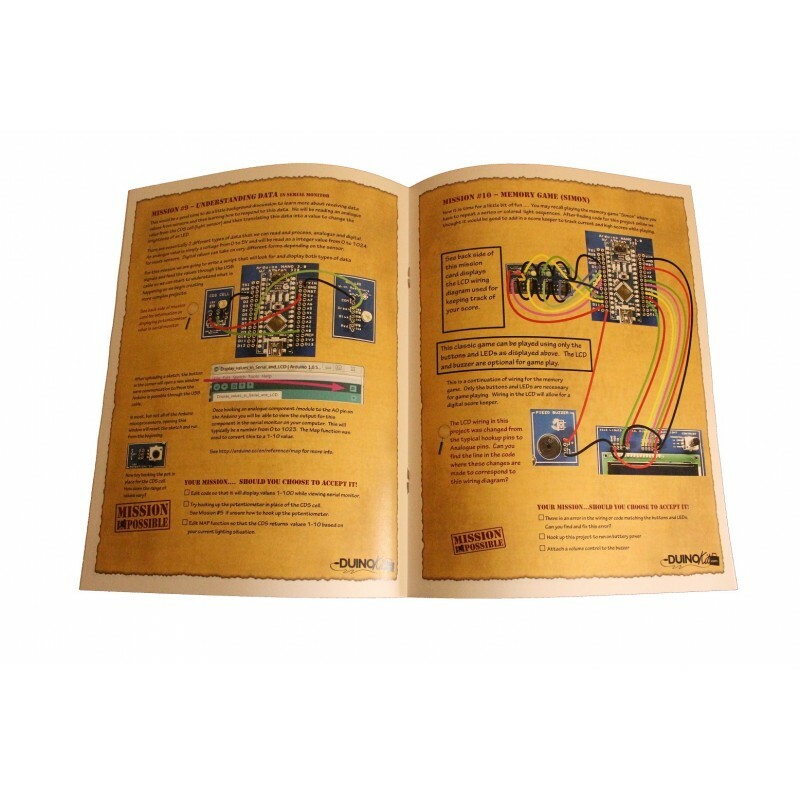 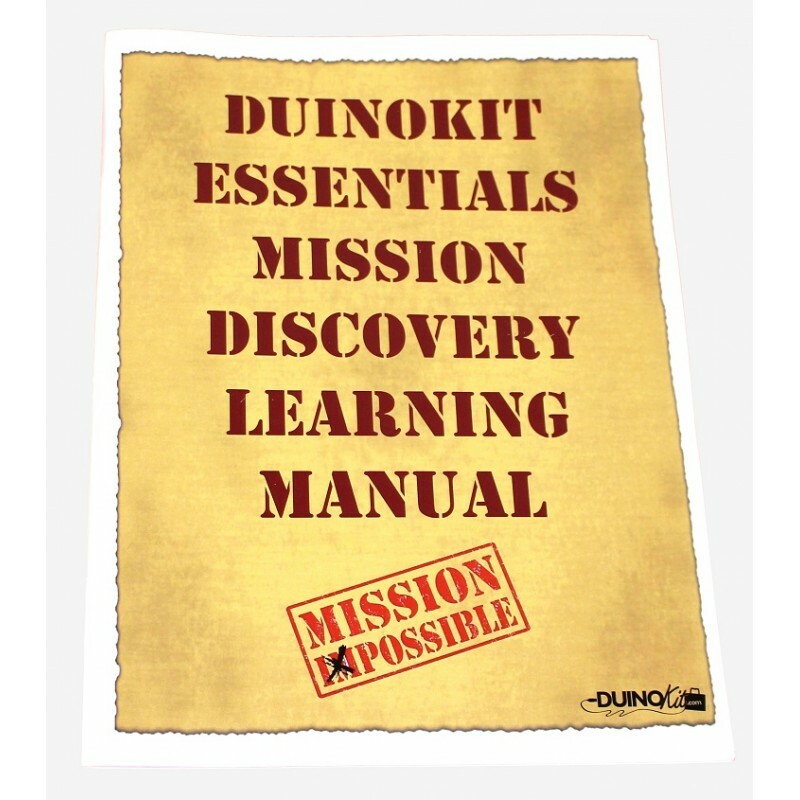 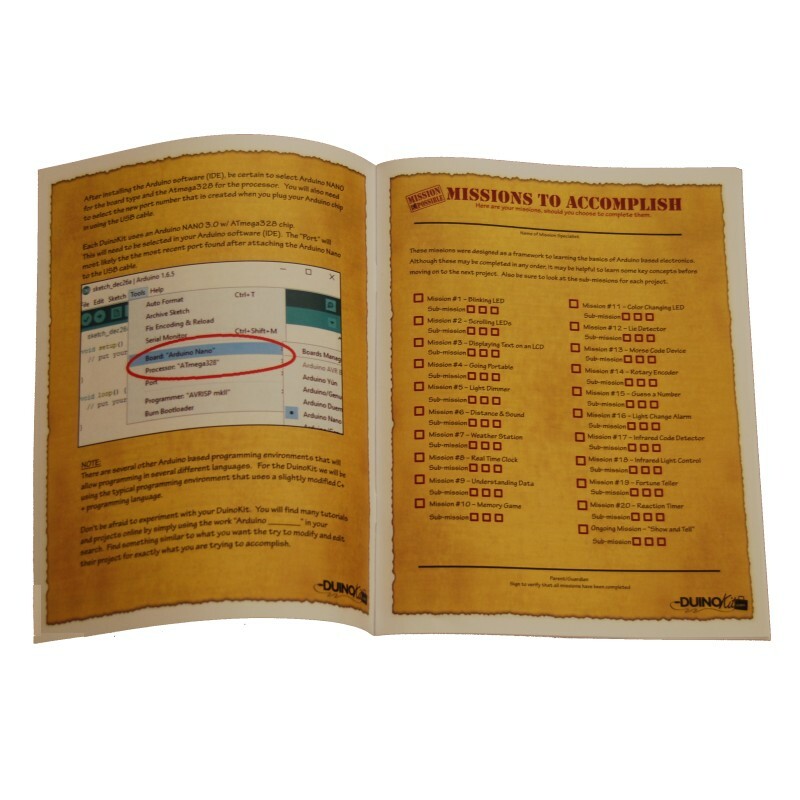 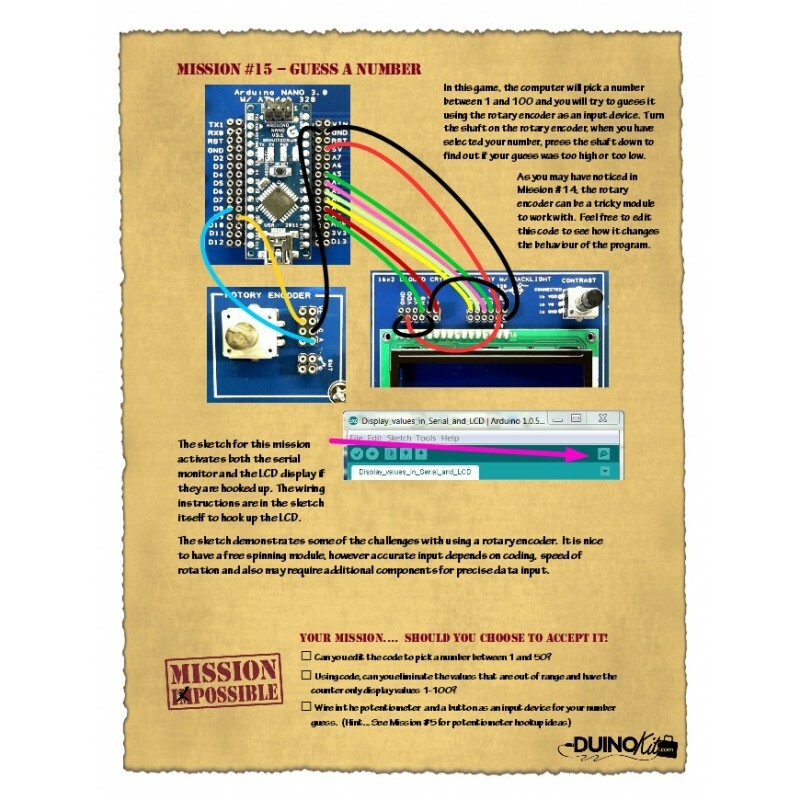 Mission booklet for DuinoKit Essentials - DuinoKit - Educational Electronics Learning Kits. 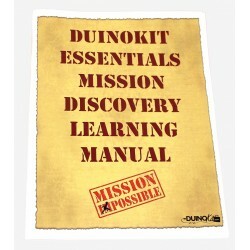 Each of these Mission Cards can be found on the DuinoKit.com Show and Tell forum. 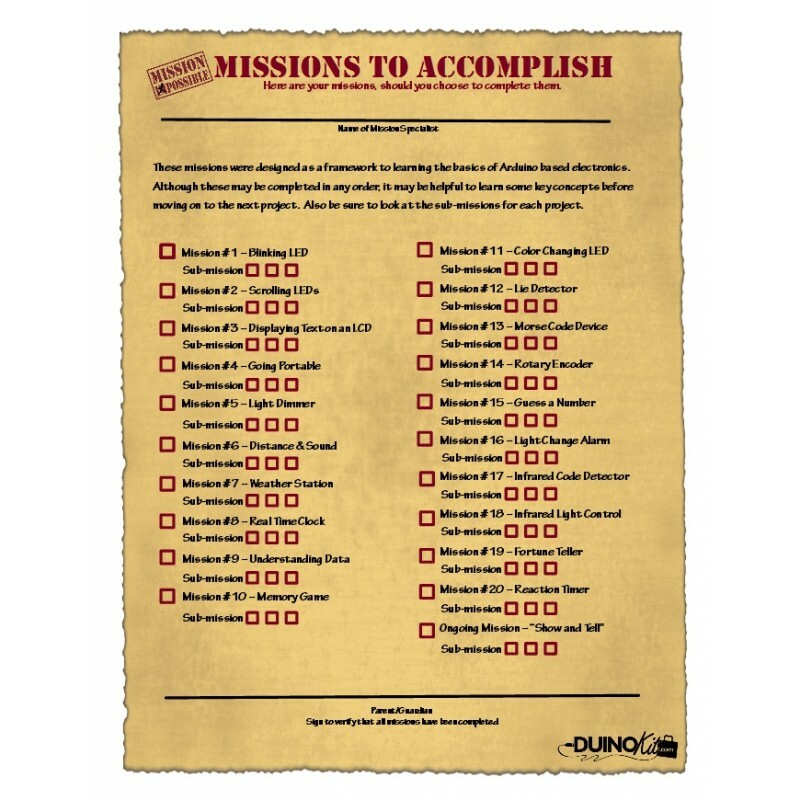 The forum also contains code for each mission. 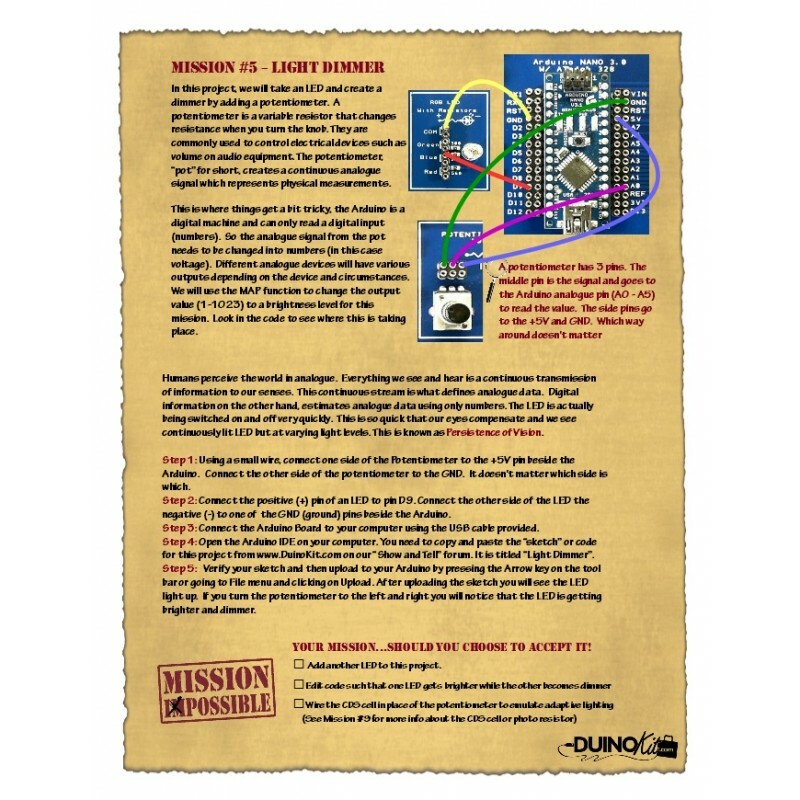 Each mission is followed with 3 additional challenges for research or editing the code or wiring for continued learning.